Yangzhou embroidery is a traditional craft popular in Yangzhou area and belongs to the same type of Suzhou embroidery technology; owing to the influences from Yangzhou culture of all times and the painting schools of Eight Eccentric Artists in Yangzhou, it follows the cultural connotation and the charm of ink and brush from traditional Chinese painting, and “the pseudo-classic landscape embroidery” and “the water and ink freehand brushwork embroidery” have gradually formed the two great features of Yangzhou embroidery. 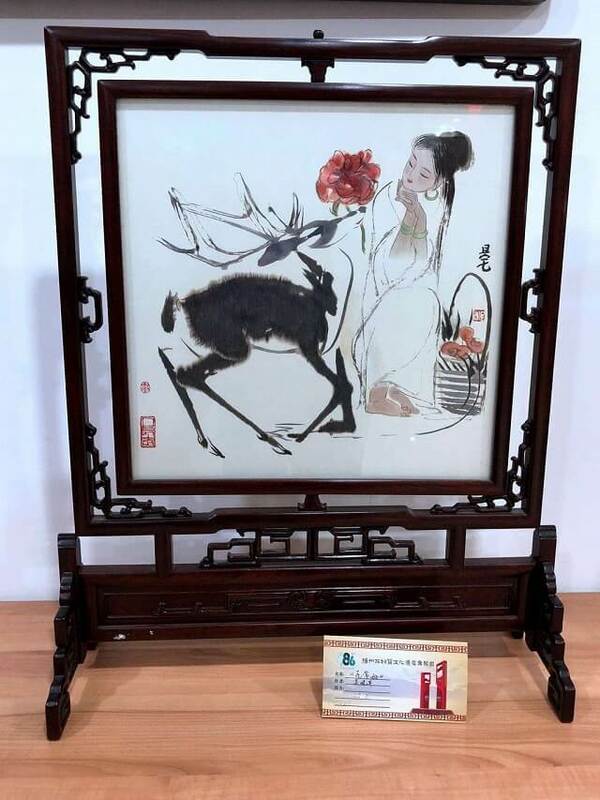 The characteristics of Yangzhou embroidery is mostly derived from many famous artists’ excellent landscape and figure painting of all times, revealing very profound artistic conception, distinctive layers of picture composition, elegant and gentle colors. 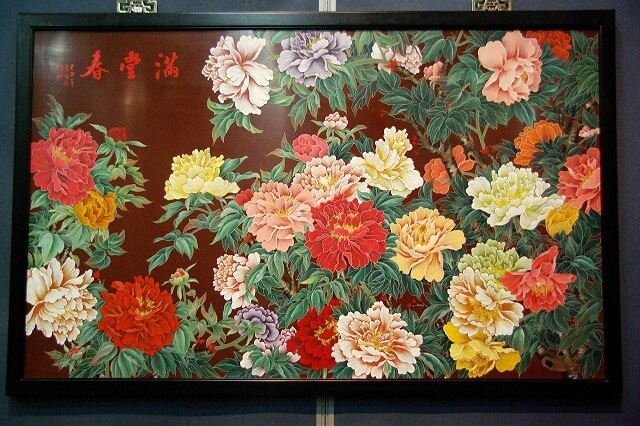 Yangzhou embroidery has been reputed as “needle painting”, as the art style that replaces brush with needle, replaces ink with string and melts painting principle and embroidery principle is fully embodied. 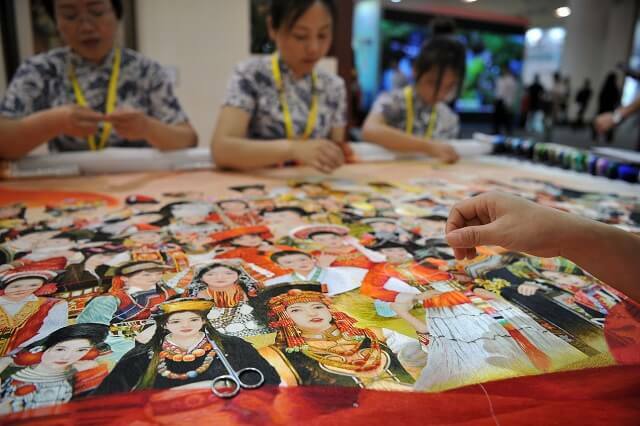 “The pseudo-classic embroidery” has become the local feature of Yangzhou.